This Laboratory in Anaheim reached out to our franchise in a panic due to water gushing out from a broken pipe, affecting multiple rooms. Materials such as carpet, walls, and baseboards were affected. The owner of the business was very worried because he didn't want this to interrupt his everyday business. We assured him that we would handle this and move as quickly as possible to get it dried so that we can get them back to work! Our crew quickly assessed the damage and removing any necessary materials that could not be salvaged, placed equipment and within 3 days, we got all materials dried to goal. The customer was so thrilled! The leaves have changed colors and are falling gracefully to the ground. Fall is in the Air!Unfortunately, those same colorful leaves find their way to your rain gutters, causing build up and blocking them. The main purpose of a gutter system is to channel water off the roof and away from the property's foundation. Blockage can cause many problems such as foundation and wood damage. Don't worry... SERVPROcan help! 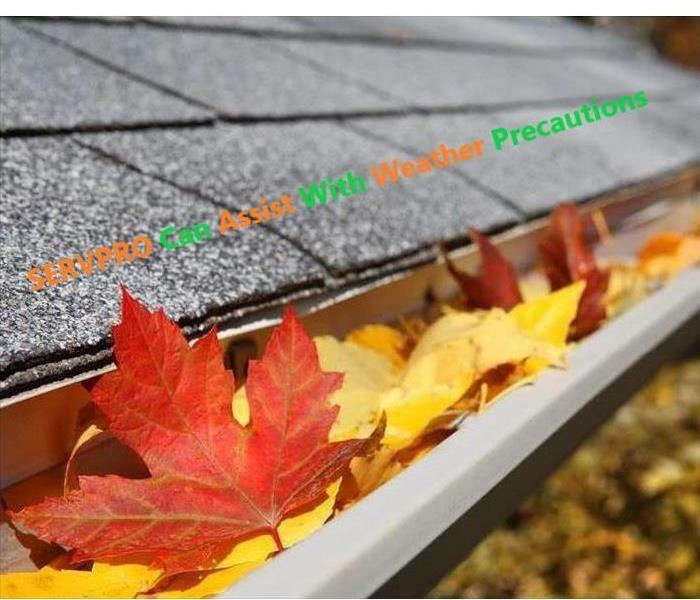 Call us to schedule a precautionary fall cleanup of your gutters! 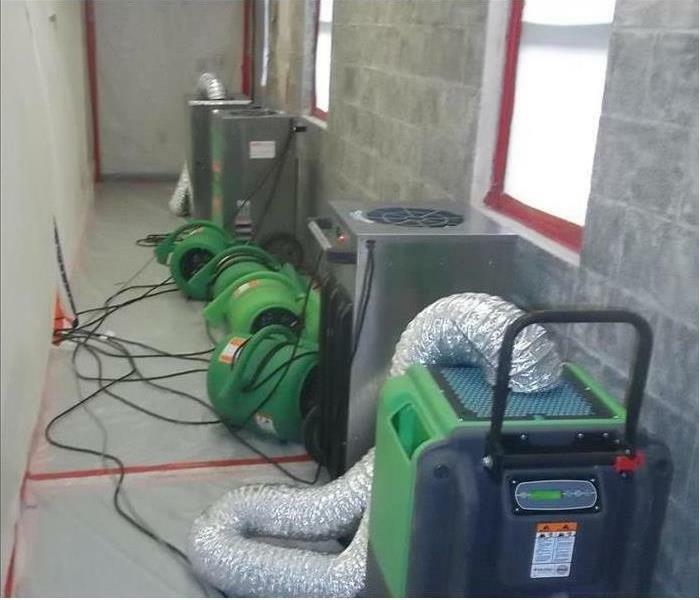 Our SERVPRO equipment - ready to handle a huge commercial water damage loss in Fullerton, CA. SERVPRO of Garden Grove East/Anaheim Central doesn't only handle residential losses, we can handle commercial losses as well. In in this case there was a 20,000 sf warehouse/retail store that was flooded. Luckily for them the Water Damage happened on a Friday so we were able to cleanup and dry down so that they were able to open for business on Monday morning. The customer was thrilled! We're Faster to Any Size Disaster.. making sure we are always SERVPRO Ready for our customers. 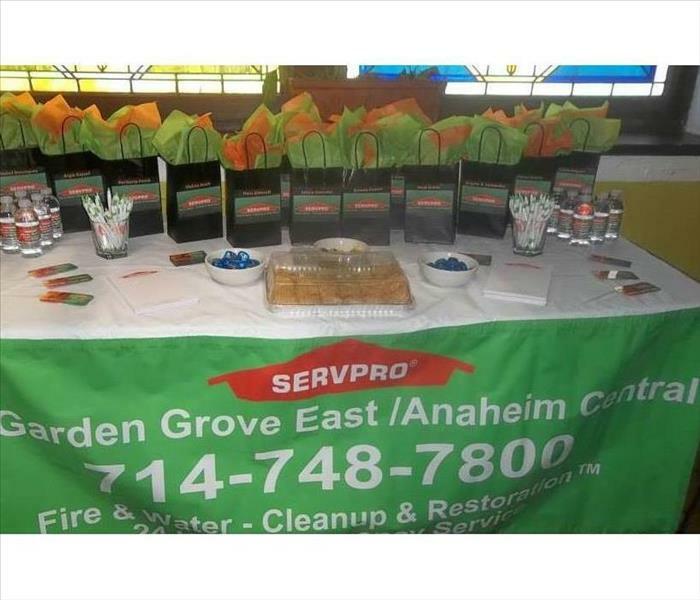 SERVPRO of Garden Grove East/Anaheim Central offers different Continued Education (CE) Classes. This particular one was to inform and educate the attendees about Mold prevention and how we handle and perform Mold Remediation. This is one of our highly trained SERVPRO technicians. He is suited up and ready to enter a customer's crawl space to inspect and perform mold remediation. SERVPRO Safety First! Our SERVPRO Equipment hard at work! This was an elementary school in Anaheim, CA. The cinder block wall was showing levels of heavy saturation. We used a combination of desiccant dehumidifiers along with XL LGR dehumidifiers and air movers to dry this very dense material. It was dried to goal and the customers were thrilled. We at SERVPRO of Garden Grove East/Anaheim Central know the importance of safety. That's why we practice safety on every job and provide safety training classes for our technicians. These practices are for the safety of our staff and our customers. SERVPRO Safety-SERVPRO Ready!